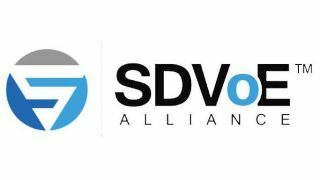 The SDVoE Alliance will feature demonstrations of AV network management and control software, designed to run on the SDVoE platform, from leading AV manufacturers and software developers at InfoComm 2018 in Booth N720. Demos will include VuWall TRx, ZeeVee MaestroZ, and iMAGsystems Lightning applications, all built on the SDVoE API and running on the same SDVoE transmitters and receivers. As with any comprehensive, well-designed application programming interface, the SDVoE API provides a set of simple subroutine definitions, protocols, and tools that control complex tasks to make it easier for developers to program their application. The building blocks in the SDVoE API include easy interfaces to control upscaling up to 4K, downscaling, aspect ratio management, frame rate conversion, chroma sample conversion, video wall processing, image compositing, audio downmixing, video routing, independent audio routing, multicast IGMP management, and more. According to the association, all AV distribution and processing applications that demand zero-latency, uncompromised video can benefit from SDVoE technology, which provides an end-to-end hardware and software platform for AV extension, switching, processing, and control through advanced chipset technology, common control APIs, and interoperability.